ABC, or Audio Bible College. 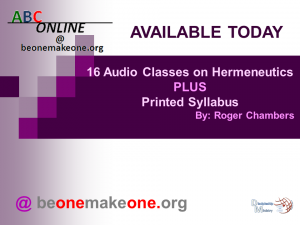 These resources are available by Clicking on the ABC Video Tab & ABC Audio Tab. Supplemental material for the resources are provided as well. CLICK on the ABC ONLINE & ABC VIDEO TABS for complete menus.